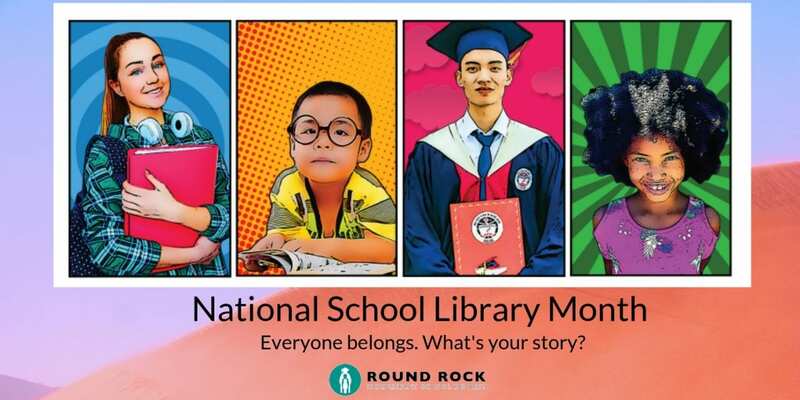 Library Services at Round Rock ISD provide students free, 24/7 online and mobile access to over 2,000 e-books and 34 subscription research resources, in English and Spanish. The resource-rich digital databases, including Mackin Via, EBSCO e-books, Follett Shelf and others. At any one of the District’s 54 campus libraries, students have access to an array of computers and other technology, books to support their work in the classroom, books for their reading pleasure, plus fun and educational activities. Parents may also visit their school’s library, open an account and borrow books. April is National School Library Month – a commemoration by the American Association of School Librarians for the essential role school librarians and their programs play in transforming learning. During the summer, usually June and July, Library Services operate a roving Pop-Up Library that visits locations all across the District. At the Pop-Up Library, students and families have access to a wide variety of books to take home and enjoy. Distributed books can be kept, returned or exchanged during any Pop-Up Library location visit. The Pop-Up Library location schedule is released before the last day of school. Discover everything Round Rock ISD libraries have to offer.